The Toronto Screenwriting Conference (TSC) is calling emerging screenwriters from across Canada to apply for the Telefilm Canada New Voices Award. The award grants five budding writers a complimentary registration to the fifth annual conference where they will learn from preeminent screenwriters including Academy-Award winning scribe of Little Miss Sunshine and Toy Story 3, Michael Arndt. The TSC takes place on April 5 & 6, 2014. “The Telefilm Canada New Voices Award offers an outstanding opportunity for up-and-coming writers. It’s the chance to learn from experienced and successful award-winning screenwriters like Michael Arndt, who will lead an in-depth master class on the breakdown of Toy Story 3,” said Kim Haladay, Toronto Screenwriting Conference producer. Recipients of the Telefilm Canada New Voices Award will also receive an exclusive lunch with Glenn Cockburn, TSC founder and president of Meridian Artists Literary Agency. Two of the five awards winners will be selected based on their diverse background. Deadline for application is Monday March 7, 2014, 5pm EST. Winners will be notified on mid-March. Complete details about the application and elegibility requirements can found on the Award information page. Michael Arndt is the first Master Class speaker announced for the 2014 edition of the TSC. The New York City-based writer burst onto the writing scene in 2006 with his original screenplay Little Miss Sunshine, which landed him an Academy Award for writing. In 2011 he received an Academy Award nomination for best-adapted screenplay for Toy Story 3. 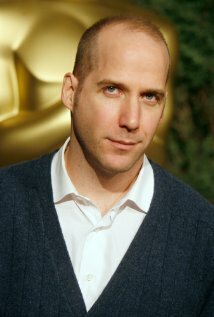 He also shares a writing credit on The Hunger Games: Catching Fire (2013) and Oblivion (2013). Early Bird Registration for the TSC is now open. This entry was posted on Tuesday, February 18th, 2014 at 8:04 am and is filed under Awards, Careers, Education, Events, National News. You can follow any responses to this entry through the RSS 2.0 feed. You can leave a response, or trackback from your own site.